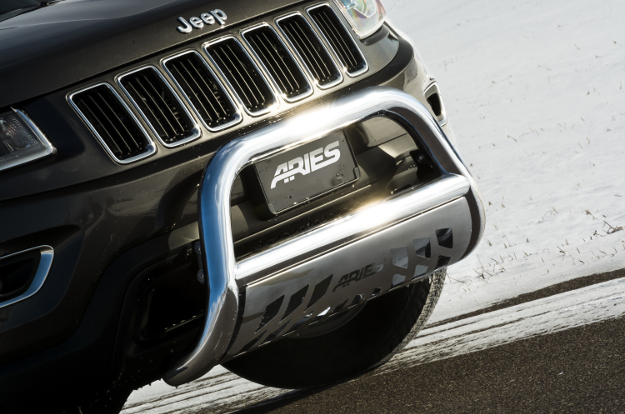 An ARIES bull bar is the perfect way to add that aggressive, aftermarket look to your truck, Jeep or SUV. 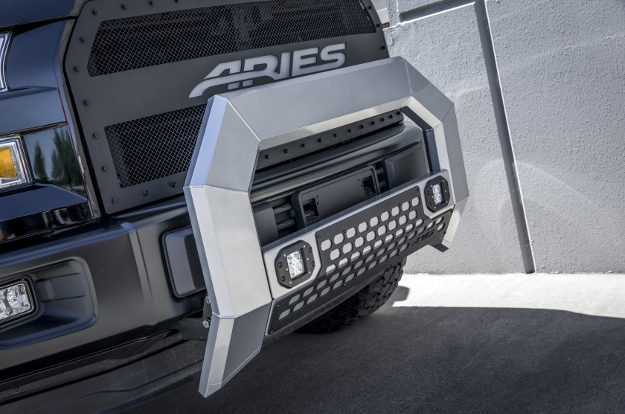 With unique options like our angular AdvantEDGE™ bull bar with integrated LEDs and our bold, bad Big Horn™ bull bar for large, lifted trucks, you can customize your vehicle to be truly set apart from the pack. All ARIES bull bars are made vehicle-specific for a custom fit with no drilling required. We not only offer unique styles but also a wide variety of specialized material and finish options. Nothing gives your truck a more aggressive look than the AdvantEDGE™ bull bar. It is designed with an octagonal tube profile and angular frame, complementing the style of modern trucks. It also features an all-aluminum construction in two finish options. The AdvantEDGE™ truck bull bar is available with integrated, flush-mount LED lights in the crossbar or a standard crossbar with an integrated light-mounting channel. It is also part of a larger series of accessories for complete truck customization. The Big Horn™ bull bar is all about bold attitude. It was specifically designed for larger, lifted trucks, accenting their uncompromising style. It is constructed with 4" diameter tubing and has a bolted skid plate for extra scratch and scuff protection. The Big Horn™ truck bull bar is available in black powder-coated aluminum or polished stainless steel. It is also intended to complement our Big Step™ 4" round side bars. 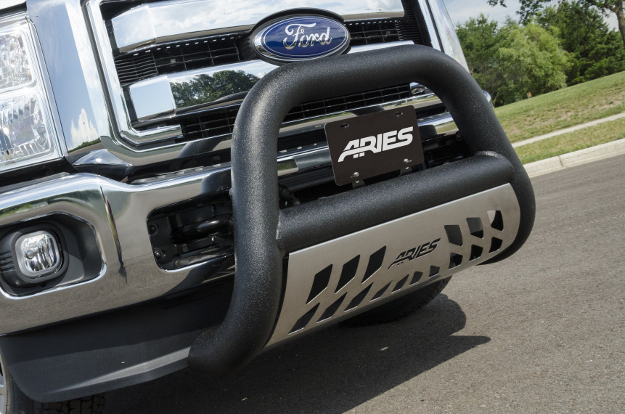 An ARIES 3" bull bar is a classic customization accessory. Every one of our bull bars installs quickly and easily with no drilling required, and we offer hundreds of vehicle-specific applications, including for many older trucks. ARIES 3" bull bars are available in multiple material and finish options to provide you with the exact look and functionality you need for your truck, Jeep or SUV.